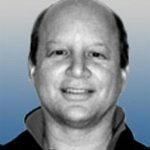 Bob Lefsetz is the author of “The Lefsetz Letter.” Famous for being beholden to no one and speaking the truth, Lefsetz addresses the issues that are at the core of the music business: downloading, copy protection, pricing and the music itself. His intense brilliance captivates readers from Steven Tyler to Rick Nielsen to Bryan Adams to Quincy Jones to EVERYBODY who’s in the music business. Never boring, always entertaining, Bob’s insights are fueled by his stint as an entertainment business attorney, majordomo of Sanctuary Music’s American division and consultancies to major labels. “The Lefsetz Letter” has been publishing for over 25 years. First as hard copy, most recently as an email newsletter and now, for the first time, in blog form.